Tonight I finished the first of my themed pumpkins. 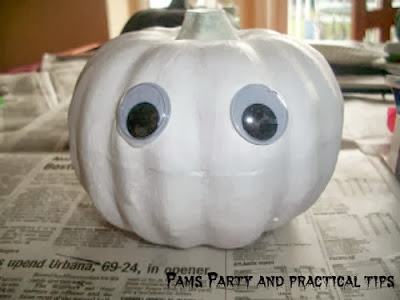 Mummy Pumpkin is super simple, and very inexpensive to make. I got all of the items, except for the paint at the Dollar Tree. I started with one of the mini pumpkins in the Halloween section. I bought these a week or two ago where there were plenty in stock. When I was there in Sunday, they were all gone. Hopefully if you do this craft, you will find some in stock at your store. 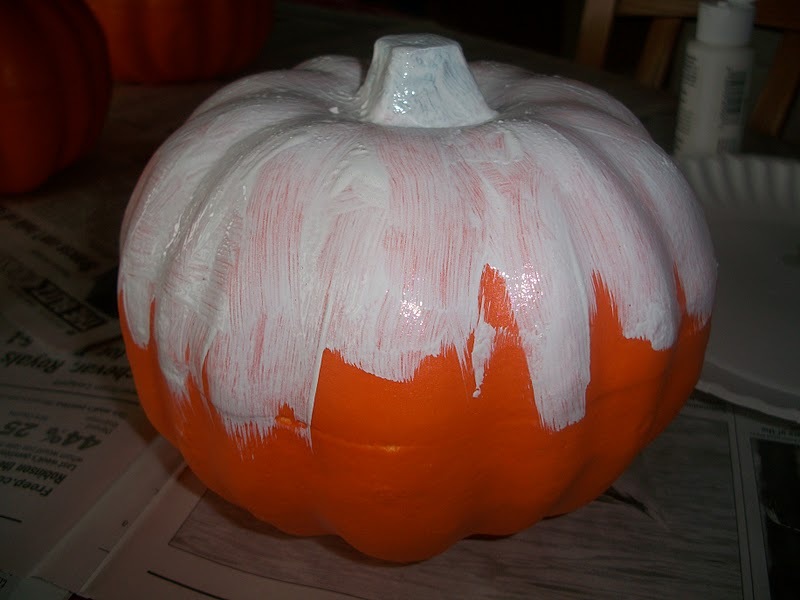 Using white craft paint I painted the entire pumpkin white. To get the best coverage, I had to paint more than on coat. 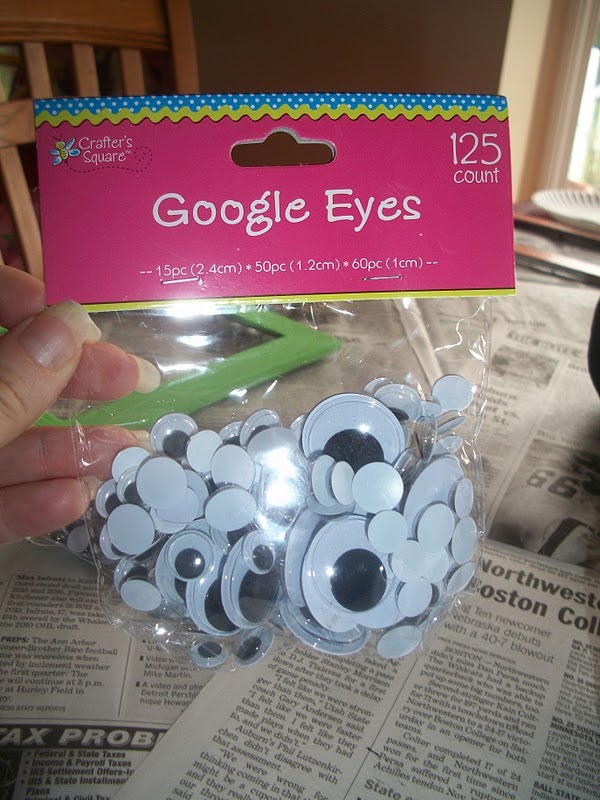 I found this bag of google eyes in the craft aisle. 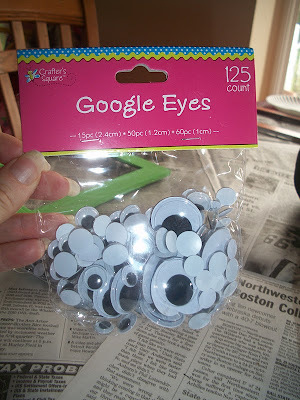 For this craft I used 2 of the largest eyes. I used several of the smaller eyes on another project. Once the pumpkin was paint was dry, I glued on two of the google eyes. I used regular Elmers glue since I can not seem to find my glue gun at the moment. I thought it would be cute to add a mouth on my mummy. It really is a matter of preference. I like cuter mummies over scary mummies. Again since I do not have my glue gun, I used Elmers glue. It was not sticking well, so I used two pieces of tape to hold it in place. The tape will not show once you wrap your mummy. 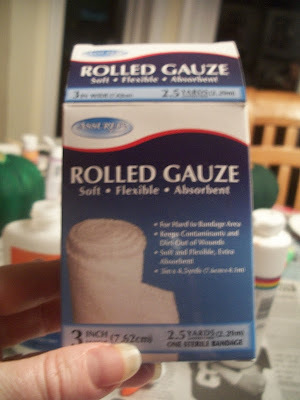 I found rolled gauze in the health and beauty aisle. One package is more than enough for the mummy. 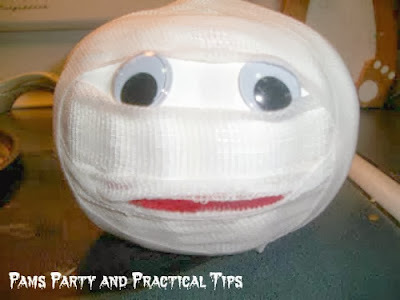 I wrapped the gauze around the pumpkin several times covering all but the eyes. Since I like a cute mummy, I left my gauze plain white and soft. 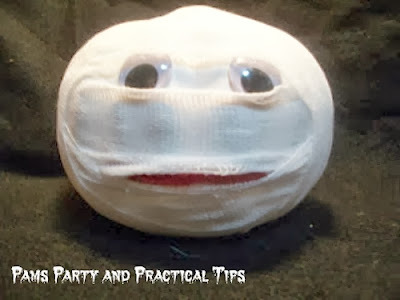 If you would like a scarier mummy, the gauze can easily be "dirtied" with a bit of paint. The gauze can also be hardened with fabric stiffener if desired. 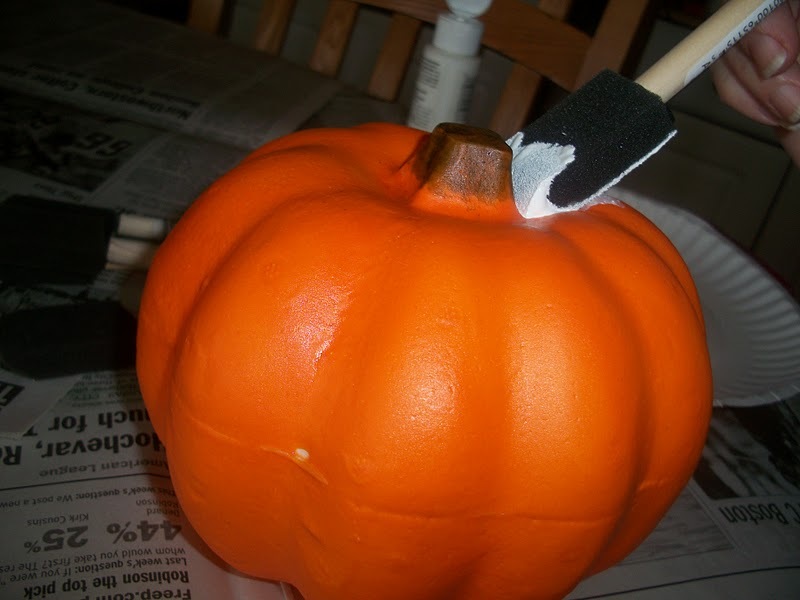 To keep things neat and simple, I just taped the end of the gauze on the bottom of the pumpkin. I will be adding tutorials for mummy's friends shortly. This brings a big smile to my face. So cute! I love it!!! This mummy pumpkin is adorable! I would love if you would share him at my Everything Halloween party starting Sunday! That is really cool (and kinda scary too!) If you get a chance, I'd love to have you link up. (http://scrapbookingez.blogspot.com/2011/09/one-stop-thursday-party.html) Thanks for sharing! This is really clever and different...made me smile! So cute! Love cheap and easy AND adorable projects! Found you on Tater Tots and Jello. :0) Thanks for sharing! I LOVE him!!!!!!!!!!!! SO SO SO SO SO cute! I think he would go great with my pumpkin with fangs/dentures! Thanks for the wonderful tutorial too! ----I am so happy you linked up! Haha...this is totally hilarious! Adorable! Would you pretty please consider linking this little guy to my pumpkin challenge? Yay!!! Thank you so so much for linking up your wonderful mummy at my Everything Halloween party!!! At first eye, it seems as a fish, especially dolphin. I really impressed by your work. 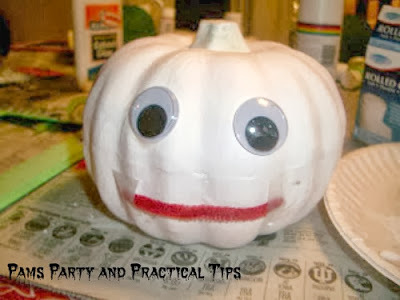 How easy to create in short time, I thing it will best for Halloween party. Featuring these on Thursday afternoon at Bacon Time. Sooo adorable~ Love the face that the mummy is making it is too stinkin precious! Thanks so much for sharing such a clever idea and tutorial with the Pink Hippo Party.. can't wait to see what you share next! Great DIY idea! I love your mummy pumpkin! Thank you so much for sharing at Savvy HomeMade Monday! Love!!! Thank you for sharing! That's cute! 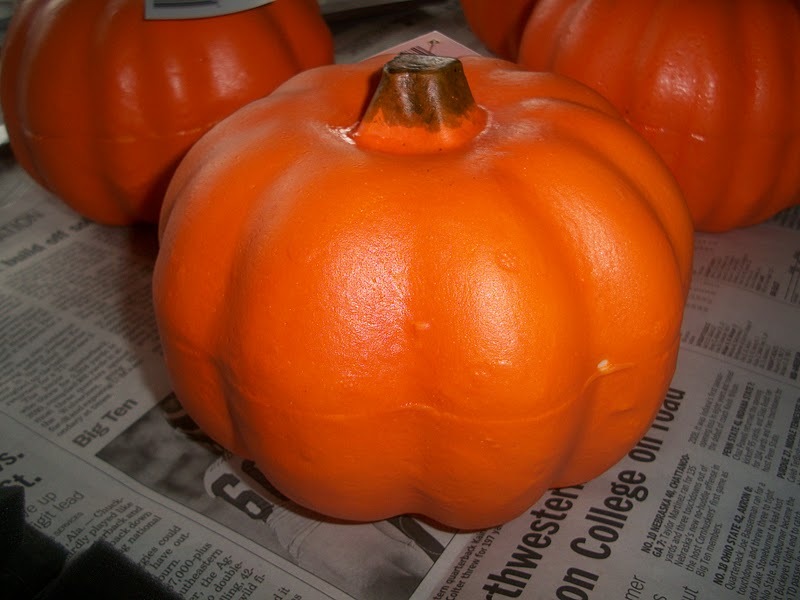 I wish I'd known the Dollar Tree had carvable pumpkins, but I've spent the past month avoiding the place. Little boys find too many things in the Haloween section that they can't live without.